I want to thank you and congratulate you for downloading the book, “Keto Diet: The Complete Step By Step Guide To Living a Ketogenic Lifestyle”. Irritable Bowel Syndrome: The Complete Guide to Be IBS Free At Last and Avoid bowel movement pains, Inflammatory Bowel Disease With Tips on IBS Diet Plus Foods to Avoid With IBS Condition! Must have more info on food. 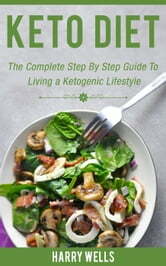 This book just define what is Keto. General information doesn’t help to plan your meals or doesn’t explain in details about type of food.